If we are on holiday we should make the best of it, shouldn't we? So how about making your holiday more yummy? 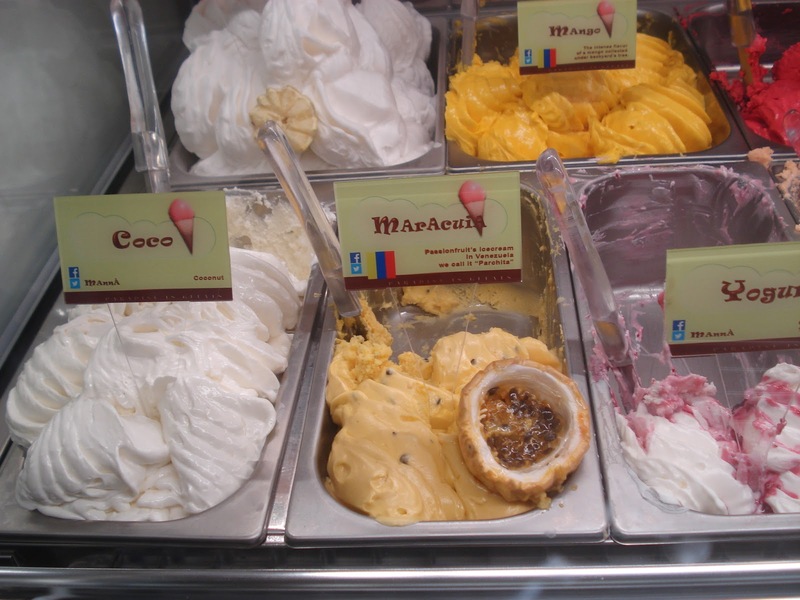 Manna Gelats promises you to offer the most delicious ice cream assortment in Barcelona city. 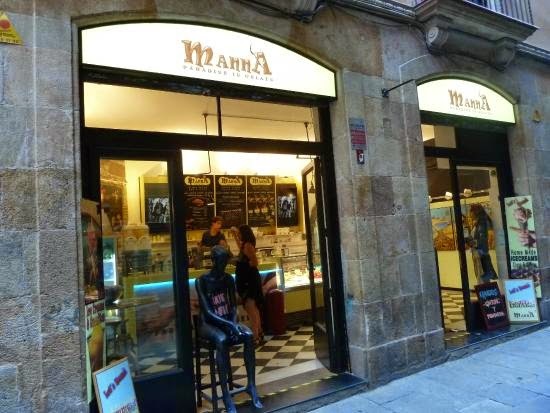 If you want to give a break you can make use of an opportunity by having a seat at Manna Gelats in Barcelona or after dinner at late hours you may want to have some desserts so you can try crepes or ice cream served at Manna Gelats. Ice creams offered here are home made and present special Italian tastes in Barcelona city. The service and the shop owner is really kind. It's a small and authentic place to stop by. If you are looking for a place for breakfast or brunch, Manna Gelats have delicious menu to serve. Is Manna Gelats expensive? We should say it is not. The prices can vary between 1 and 10€ at most. Ice cream species change and you have chance to taste sherbet, milky or ice creams with chocolate. When you drop by Manna Gelats, you can try some Argentinian breakfast in Barcelona. What can we say? The world is small:) We will continue to write about best restaurants in Barcelona city so keep your eyes on Barcelona city travel guide. Buenas vacaciones!